Russia's Foreign Minister Sergey Lavrov delivers remarks at a news conference at the 72nd United Nations General Assembly at U.N. headquarters in New York City, U.S. September 22, 2017. MOSCOW - Russian Foreign Minister Sergei Lavrov said at a meeting with his Iraqi counterpart that Moscow is committed to Iraq’s territorial integrity, RIA news agency reported on Monday. 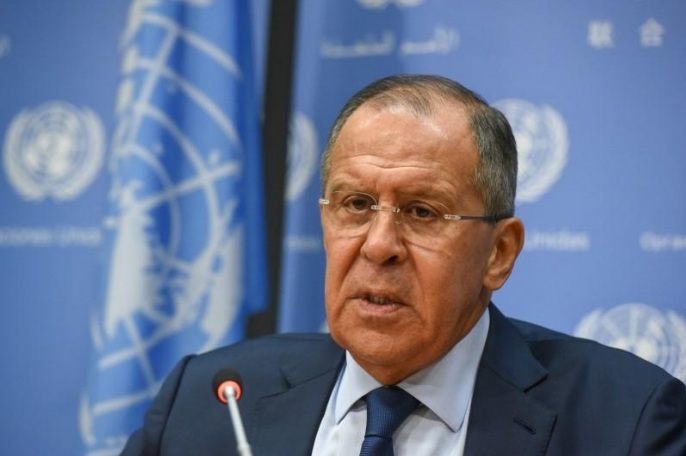 Russian Foreign Minister Sergei Lavrov said at a meeting with his Iraqi counterpart that Moscow is committed to Iraq’s territorial integrity, RIA news agency reported on Monday. Russia has economic ties with the Iraqi Kurds, who voted for independence from Iraq in late September.